Weddings Vendors, Venues, and Professionals we highly recommend. We pride ourselves on being the best and working with the best wedding vendors. A group that is proven reliable and professional. The reasons vendors and venues like each other might be quite different than the reasons you would like them. For example, Venues that communicate, have a great staff that is on task, and is easy in and out. A photographer that makes sure family photos are either done before our time or done quickly if not already completed. A DJ that makes announcements for you when needed. Make sure you let any of our friends know you found them through us! If you have any questions or comments about the wedding vendors we recommend feel free to contact us! A venue is a fun search. How many guests are you hosting? You don’t want a place that will be too big. Too small is not as big of a concern. You want your venue to feel “busy.” A great staff is also very important. The best photographers can retell your day in photographs better than you remember it! Your florist helps create the perfect atmosphere. Nobody is better than Marco. Reviews, tastings, budget. All of our catering recommendations do a fantastic job. Who is the best match for your event and needs? The best planner we have worked with! Tents of many sizes, colors and styles. More than 100 linen colors and styles. Make sure when you are searching for wedding vendors you read reviews and experiences. 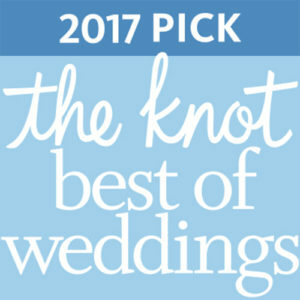 Wedding wire, gigmasters, and the knot have the best legitimate reviews of any vendors you will need.